Welcome to Wellness Facial Spa Center in Thane …..Today we are living in a world where people gauge/value/understand us with “Face Value”. A face value is nothing but how are you maintained your facial skin. Thus, many more are attracted towards to make their facial skin tone better by visiting Spa & Salons. This is a very good move forward but so many people are trapped and permanently lost the glow of their facial skin due to wrong/cheap products used on their skin and unqualified methods of performing a facial. One should be really careful while making a decision to visit a Spa & Salon to avail any service because human body spare parts are not easily available. We, at white N Bright Spa & Salon, Strictly follow the procedures prescribed by the product manufacturing companies, thus you are in safe hands. Not only that but also we only use products who have made their presence internationally, are gentle on skin yet highly result oriented and economically feasible. Facial Spa Center in Thane facial products are made for different skin types and skin problems, For example if a product is meant to control the excess sebum creation, and one use this product on a severe dry skin, it will completely damage your skin and the aftermath skin irritations and troubles are huge. Thus one should always opt for a face clean up or a facial where qualified/trained/experienced aestheticians are available to perform the skin analysis and followed by the skin treatment. Once the product part is done, the other major key thing is the technician who is performing the facial. Our skin is the largest organ in our body and it has so many layers, structure, tone and on and on. One should really know the chemistry of the skin, current skin conditions and skin type, past skin therapy history etc are the key components of understanding a skin and accordingly decide which products ranges are going to provide the maximum result. At White N Bright Facial Spa Center in Thane, We have qualified aestheticians who has a track record of more than 15 years in beauty and Wellness industry in India and abroad. Firstly, we will perform a thorough skin analysis on your face and let you know the skin type, skin conditions and the damage happened to your skin, further a few questions about your daily routine, your skin care regimen at home and the dermatological treatments you are done on past. 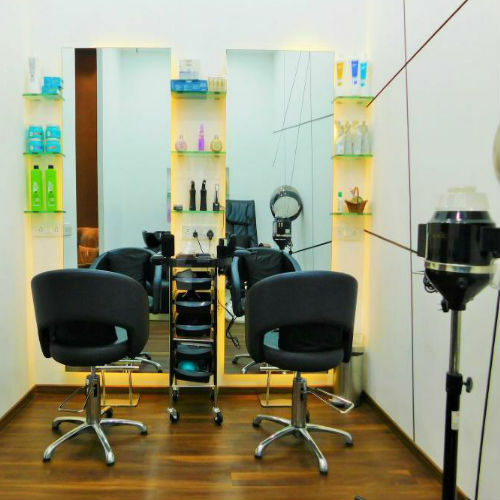 Facial Spa Center in Thane A facial starts with a cleansing procedure, then the exfoliation of the dead skin cell accumulated, followed by Black and whiteheads removal with steam, a facial massage and ends with a facial masque and an SPF application on your skin. We have segregated the facials into two and they are Essential facials and advanced facials. Essential we have Illuminating Radiance, Basic Purity, Aquarelle Facial, Purete Marine Ritual and Source Marine Ritual. Advanced facials are Collagen Smooth Treatment, Silicium Super lift Treatment, Brightening Facial, Prodige Des Ocean Face ritual and Prodige Des Ocean Face and Body ritual. We will suggest you the best facial suitable for your skin and most beneficial. We also recommend you the products you should be using as home care by Facial Spa Center in Thane.